AJ Dive Charters is based in Milwaukee Wisconsin on the Milwaukee River. We offer Lake Michigan recreational scuba diving charter services to shipwrecks in the Milwaukee area, Port Washington, Oak Creek, Racine, Kenosha areas. Lake Michigan has many fantastic shipwrecks right in the Milwaukee area just minutes from the Milwaukee Harbor. We are willing to go to any shipwreck in the are that you want to go and see. There are shipwrecks in the Milwaukee area that are perfect for the newly certified open water scuba diver and the experienced technical scuba diver alike. There are shipwrecks at 17 feet to 200 feet that we visit. Please see our shipwreck page for more information on some of the shipwrecks that we run charters to. We have a PADI Master Scuba Diver Trainer and Divemasters on staff that are available for shipwreck tours and PADI scuba diving certifications. 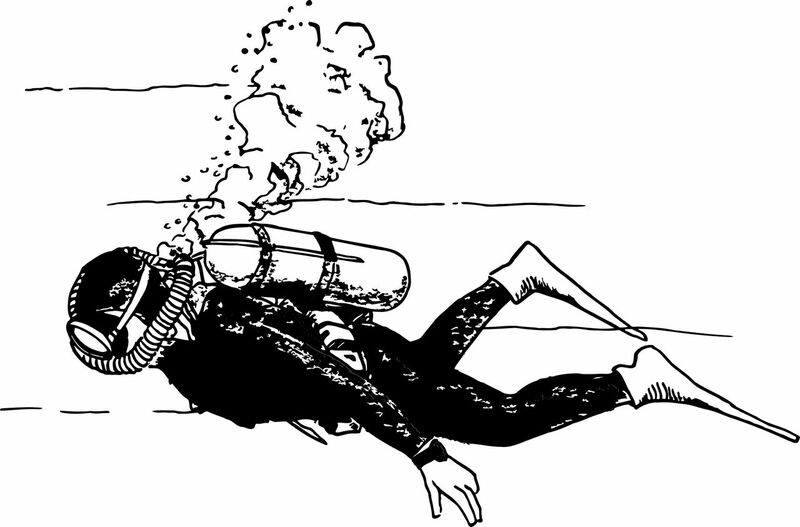 We have rental equipment and scuba tank air fills available on site. We pride ourselves on customer service, Diver safety and Diver comfort. We are located on the Milwaukee River just minutes from many fantastic shipwrecks. We have free onsite parking at our private dock on the Milwaukee River. If we are running charters out of the Milwaukee area we pick up our divers at a Local public dock in the Port Washington, Racine or Kenosha harbors. We have more to offer our dives that other scuba diving charters in the area. 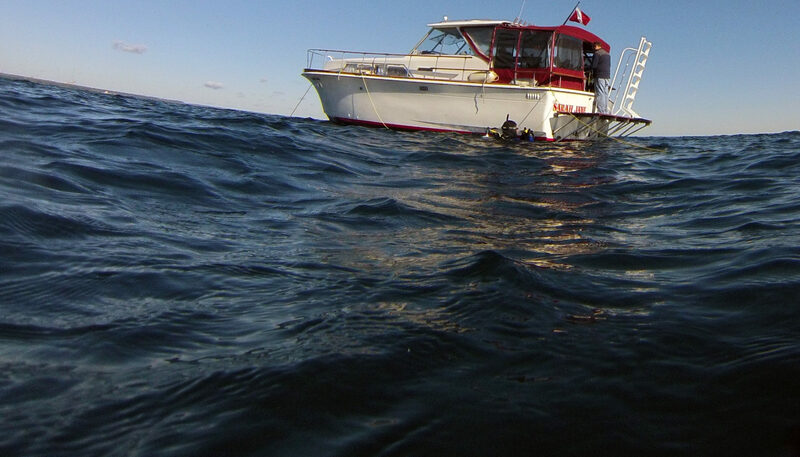 We have one of the fastest charters boats in the area and we can get you to the shipwreck and back quickly is needed. We have a fully enclosed back deck area, private restroom, hot water deck shower, safety stop lines, emergency decompression air supply, large swim platform and a large stepped dive ladder. Give us a try and you will not be disappointed!!! AJ Dive Charters is Rated 5 Stars on Facebook! Great charter company with a spacious boat!!!! They have an abundance of safety equipment and even drop down a manifold with regulators for your safety stop if you need it. Took care of all our needs and plan on coming back soon!!!! Loved the Boat!! I'll be back for more! Went on a dive today. Great guys, very helpful, all around awesome experience! I had a great morning of diving with a new group of dive friends. AJ Scuba Buddy Board helped facilitate it too! Can't wait to do it again. I enjoy diving with AJ Dive Charters, they are a great shop to dive with! SUSCRIBE TO OUR NEWSLETTER ABOUT UPCOMING CHARTERS!!! Emails will be sent out about once per month during the diving season. Email addresses are for the sole use by AJ Dive Charters, AJ Scuba and will not be shared or sold. Post Your Dives And Find New Dive Buddies! Check out our Charters Schedule!